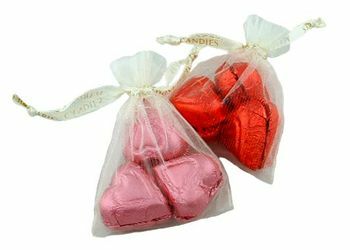 Chocolate Heart Pouch - 1.75 oz. Six delectable milk chocolate Foil Hearts nestled in a dainty gauzy pouch. Choose either pink or red foil hearts.